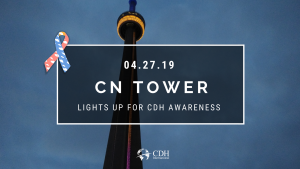 The CN Tower in Toronto, Ontario Canada is lighting up for Congenital Diaphragmatic Hernia Awareness on April 27th! 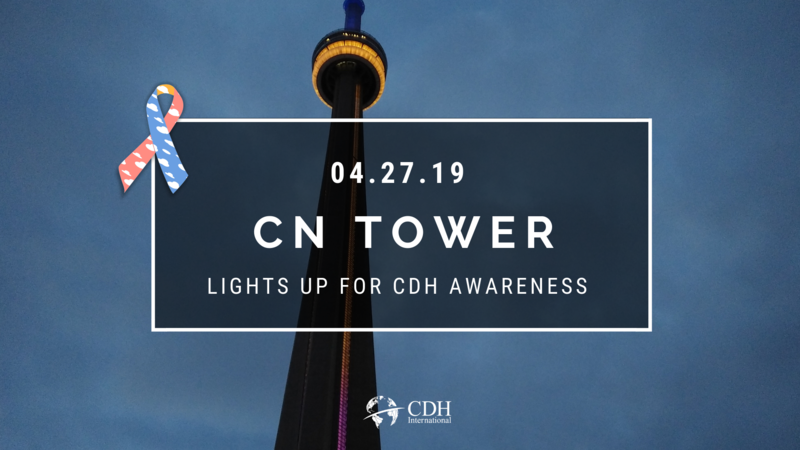 Join us to see it shine in pink, blue and yellow to help tell the world about children born with CDH. Make sure to join us at the Toronto Blue Jays game earlier the same day!